Join us here in the Rosary Shrine on the Feast of our Lady of the Rosary which falls this year on Sunday 7th October. Bishop John Wilson, auxiliary bishop of the Archdiocese of Westminster will celebrate a solemn Mass at 12 noon, followed by a reception in the parish hall. In accord with a Dominican custom, roses will be blessed and distributed after Masses on Rosary Sunday. All are very welcome. Also, from 6-7 October, the annual St Dominic’s Art Exhibition and Sale will be held in the parish hall. Do make a visit to the hall to view the art, enjoy a cup of coffee and some cake. Proceeds to the Rosary Shrine Fund, which maintains and improves the church facilities. During the entire Rosary month of October, don’t forget that there will be a Candlelit Rosary Procession every Saturday after the 6pm Mass, commencing around 7pm. 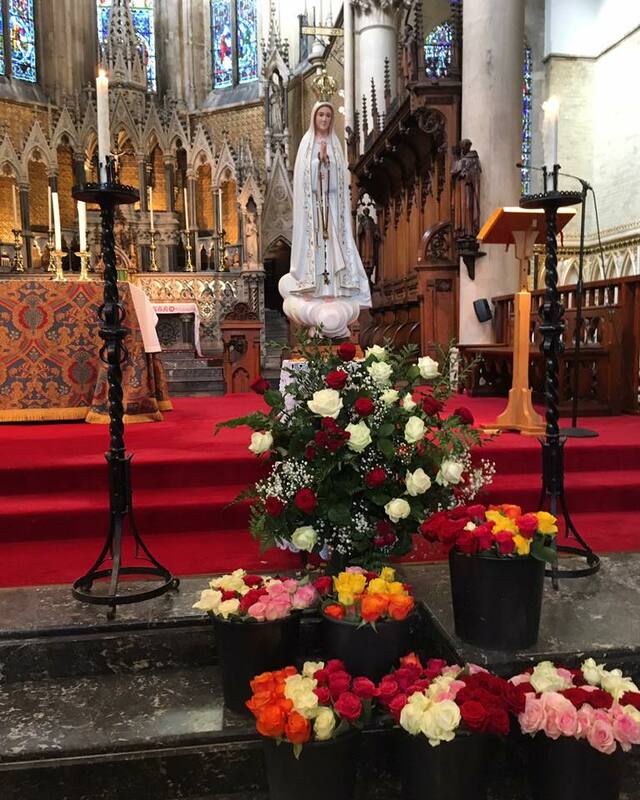 We invite you to come as pilgrims to this diocesan Shrine of Our Lady of the Rosary, and discover the beauty of this place, “Mary’s House” in London, radiant with prayer, song, and faith!